Mumbai, Bollywood actress, Priyanka Chopra said that the movie, ‘Bajirao Mastani’ is declared an important milestone of her life. According to Indian media sources, she has completed the work in the movie, ‘Bajirao Mastani’ and she shared a pictures on Instagram and said that this picture was special for her. She further added that this movie was also special for her life and it was great milestone for her life. She also thanked the director, Sanjay Leela Bhinsali that he gave a chance to her to perform in this movie. The story of the movie is based on the love story of Bajirao leader and the dancer, Mastani. In the movie, Ranveer Singh will perform the role of Bajirao leader and Deepika Pudokone will perform the role of Mastani. 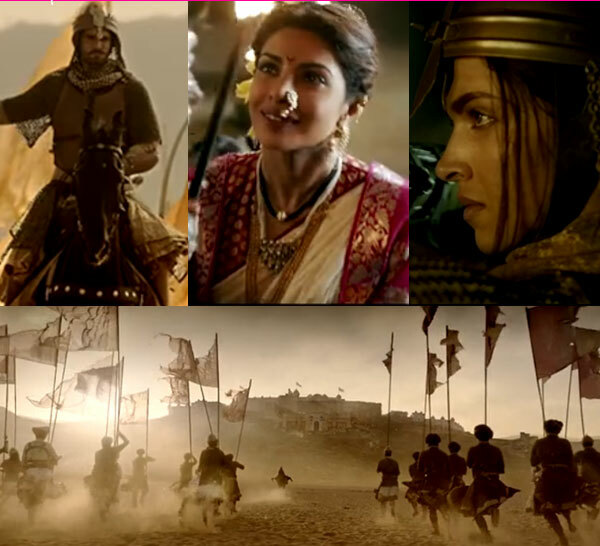 Priyanka Chopra will perform the role of first wife of Bajirao and this movie will be released on 18 December.